A while ago my wife and I drove up to the Antietam Battlefield. On the way back, I noticed several Fedex trucks in what seemed a very rural area of Western Loudoun County. We stopped at one farm advertising farm fresh beef. We had a nice talk with the young woman who owned the farm with her husband. From the array of bicycles and toys, it was apparent they had several kids. 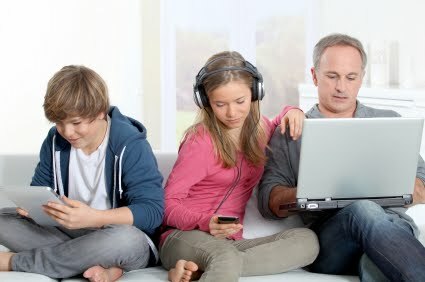 I'm always talking to people about the technology in their lives. This young woman was extolling the value of Amazon in her life. The nearest store was miles away, and the nearest mall further still. She could order anything from Amazon and have it in a couple days; often faster then she could find time to get away from the farm, pack the kids in the car, and go to the stores. To the Stout Family, Amazon is a convenience. I understood that day that to many away from towns, it can be a real value. To those frequent Amazon shoppers who find Amazon easier then getting to the grocery store, I began seeing the value of the Amazon Dash buttons I talked about in a recent column. Today, Amazon began selling them. 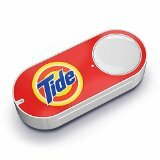 The Dash button is a small button that, for example, you stick to your washing machine. When you notice you are running out of laundry soap, you press the button. It connects to Amazon via your WiFi network, and orders you more Tide detergent. They have Dash buttons for 18 different brands. You can set the specific product, quality, flavor etc. you want when you press it. And their are safeguards should your toddler go hog wild pressing buttons.